This is a rare opportunity to be able to book this year on the Arenui! Grab your dive gear, prepare your cameras and get ready to be amazed! BIODIVERSITY, FORGOTTEN ISLANDS, DRAGONS, VOLCANOES, MANTAS, AND CRITTERS! Dive the epicenter of marine biodiversity, explore the World's most remote islands, swim with mantas, hunt for cool critters, watch the sunset over a smoking volcano, and of course, walk with dragons! This can all be on the agenda if you join us for one of our spectacular 2019 cruises. 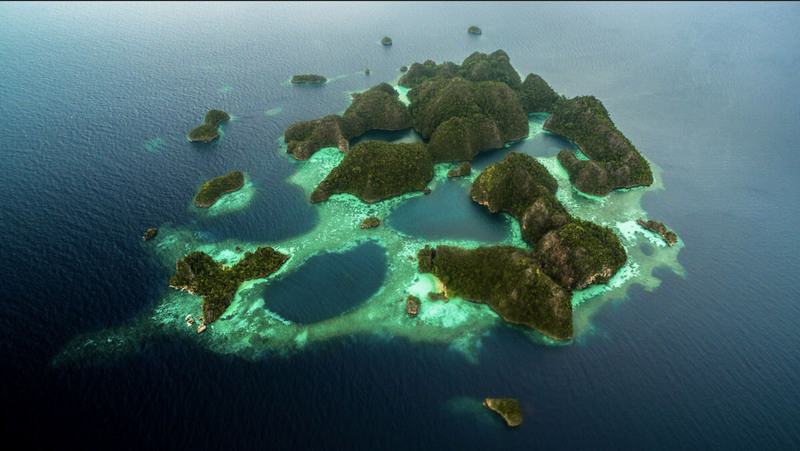 Always a favorite, Raja Ampat in the heart of the Coral Triangle, offers the most striking biodiversity on the planet! With over 1,000 islands the landscape, as well as the diving, is a photographer’s paradise. Beware the vibrant colors in the near-perfect diving conditions will spoil you for life! The variety of species seen underwater is truly astonishing, you can find more species in Raja Ampat than in the entire Caribbean. You will encounter all sorts of critters including tiger shrimps, ghost pipefish, mimic octopus, cuttlefish, ghost pipefish, pygmy seahorses, blue ring octopus, and of course many nudibranchs. You will also see plenty of Manta Rays all around where you can get up close and personal watching these amazing creatures flipping through the water while being cleaned. You will see plenty of variety underwater including sea turtles, juvenile batfish, schooling scads, wobbegong sharks, whitetip reef sharks, gray reef sharks, and even the walking shark to name a few! The Forgotten Islands are part of a remote archipelago in the south-east corner of the Moluccas (Maluku Tenggara). The Forgotten Islands are isolated even by Indonesian standards, covering an area that spans from the West Papua area of New Guinea all the way to the island of Timor. For you thrill seekers and true explorers our trips to the Forgotten Islands are truly unforgettable! If you are a diver seeking out something new and unusual this is a must see. We take you from one secret paradise to another where you can expect to find plenty of rare and unusual critters and stunning corals. There are also fantastic opportunities for pelagic sightings and schools of larger fish such as barracuda and mackerel, you might even see a whale shark or an elusive hammerhead! *Both cruises are special manta trips where we are cruising with Dr Andrea Marshall, known as the Queen of Mantas! Dr Andrea Marshall of the Marine Megafauna Foundation will be offering regular talks for guests on the cruise. We are pleased to announce that proceeds from this trip will also be supporting the Marine Megafauna Foundation. 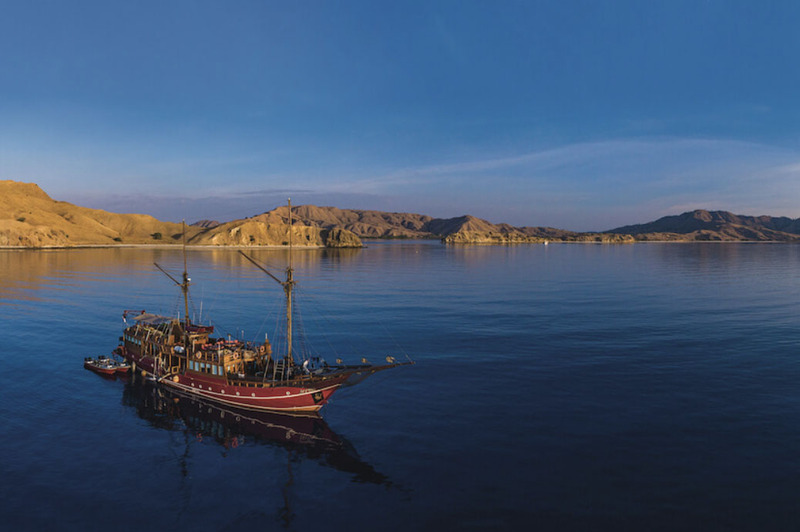 Komodo is now one of the new 7 Wonders of Nature! This National Park is located in the coral triangle and has some of the best diving in the world! 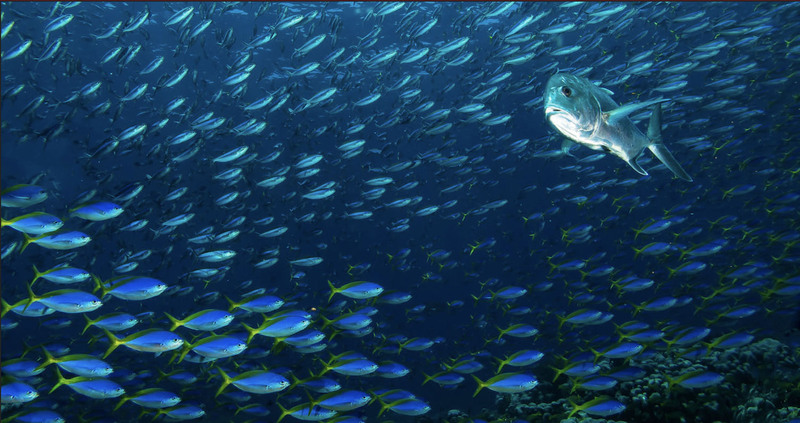 It has some of the most diverse dive sites ranging from macro subjects to pelagics. Love critters? There are pygmy seahorses, ornate ghost pipefish, blue-ringed octopus, nudibranchs, crabs and more. Want schooling fish, soft corals, hard corals and some of the most colorful reefs you will ever see? You've got it all on this cruise! There are drift dives over stunning reefs, critter-filled night dives and you can even dive over hot springs at an underwater volcano! Love Manta Rays? This is for you! Dive Manta Alley and watch them swoop all around you while cleaning and feeding. Who doesn't love sea turtles? We've got that too plus more! Come check it out for yourself and bring back some amazing memories and stunning photographs to show off. In addition to the amazing diving, you will even get the opportunity to hike on the islands and see the world's largest lizard, the Komodo Dragon, right on the beach! 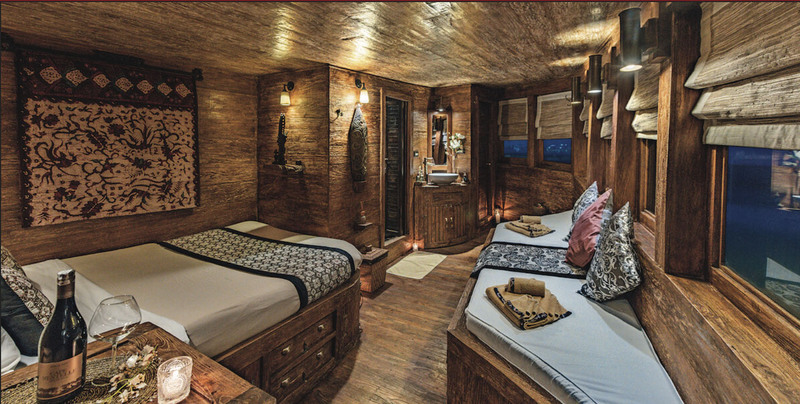 You will even get to dive the world famous dive site Cannibal Rock and see the beauties of Komodo National Park. Hot gases venting in the water make Pulau Sangeang a magical must see site!